The Government is looking to encourage more people to switch to different energy providers in order to cut down on energy bills and save money. According to energy secretary, Ed Davey, switching energy suppliers could save UK homes as much as £158 a year: However, 84% of households have failed to capitalise on such opportunities, with only 16% switching between March 2012 and March 2013. Mr Davey, said: "When consumers are feeling the pinch, it's not right that 84% of households, including the most vulnerable, are put off switching or engaging in the energy market. "Fundamental to overcoming this is Ofgem's reform of the retail energy market. This will make the market simpler and fairer, and we're using the Energy Bill to make sure these reforms are not delayed or frustrated." As part of Ofgem's impending shake-up of the energy industry, energy firms will have to cut down the number of core tariffs to four as well as making energy bills more easy to understand: Something the UK Government is backing through its Energy Bill. 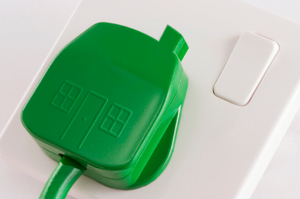 Other important proposals include customers being automatically switched to a firm's cheapest variable rate tariff at the end of their fixed rate deal and the provision of £900,000 towards a new Big Energy Saving Network scheme aimed at offering advice on switching providers, the various tariffs offered and what government support is available to help people keep their homes heated while cutting down energy bills. Mr Davey added: "I'm dragging energy bills into the 21st Century by requiring suppliers to include electronic information that will help millions compare and switch at the swipe of their smart phone. "I want to turn the non-switchers into savvy switchers"
As well as this push to get people switching to better deals, the government also has its Green Deal in full swing. Working alongside the UK's energy firms, the scheme offers consumers a way of making their home more energy efficient through what equates to a loan. Under the scheme, customers can look at getting a replacement boiler, or alternatively look into wall or loft insulation and other such measures designed to improve energy efficiency.